It mainly provides primary and comprehensive preventive and therapeutic oral health care for infants and children through adolescence. Early Childhood Caries which is also known as tooth decay can develop rapidly in children. Children can also be affected with some rare oral diseases like Gingival Fibromatosis which will eventually result in disturbance in overall health of a child. 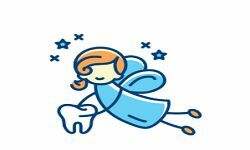 Common oral problems in children are Tooth Decay: Gum Disease, Teeth Grinding: Thumb Sucking etc.